Viola models & sizes: Guadagnini 15" - 15.5" - 15.75"
The Sonic Heritage is made in the workshop of Xueping Hu. They are fine Italian copies available in Stradivari or Guarneri design for violins and Guadagnini or Maggini designs for viola. Xueping was awarded the certificate of merit for tone at the Violin Society of America 2006. These instruments are produced with conservatoire and professional players in mind and possess a detailed and sensitive tone. The tonewoods used are carefully selected; the spruce is from the Dolomite region of the Italian Alps and the European maple from Bosnia. The wood is naturally dried for 4 years before being placed in a traditional drying room. The oil varnishing on these instruments has been specifically developed to resemble that of the Old Italian instruments from the early 18th century. 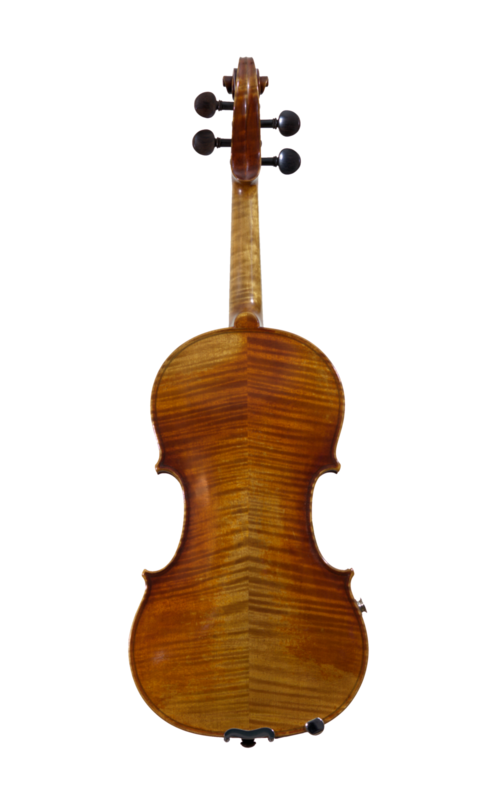 The Sonic Heritage Series are among the finest examples of modern violin making available today and represent excellent value at this level. These instrument find favour with those looking for the ultimate amplified sound as well as superb acoustic tone and projection. As acoustic instruments they fit comfortably into orchestral and conservatoire settings. The Sonic Heritage is supplied in a lightweight oblong case - you may upgrade this case if required, contact us for options and prices. “...It is perfect for what I need - a good acoustic for playing classical when away, and great fun as an electric too back home. I am really happy with it. Thank you very much. (I'm not usually so keen on buying instruments on-line, but this time it definitely turned out right)"